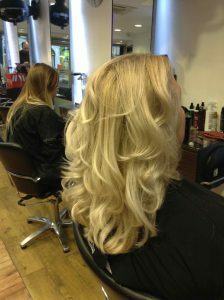 The start of Spring always sees clients asking us for hairstyle ideas and hairdressing inspiration. One of our seasonal favourites to try is an Inverted Layered Haircut at our central Bristol hair salon. A classic Inverted Layered Haircut at our Baldwin Street hair studio always begins with a full and free client hair consultation, to ensure that the client is completely happy with our suggested seasonal hairstyling for Spring. Following the hair consultation, an Inverted Layered Haircut begins with cutting the baseline in, and to take it shorter, our hairstylist would invert layers. The point of this hairstyle is to give more movement, texture and body. The layering of the hair also helps to reduce the hair weight and length, and reduced the remaining hair being pulled down as a result. This popular hairstyle for Spring from our central Bristol hairdressers prevents drab weighty hair, eliminates a weighed-down look for clients’ hair, and also helps to deliver a simple, classic and stunning hairstyle for the new season. An Inverted Layered Haircut at our central Bristol hair salon costs either £33, £39.50 or £46.50, depending on the level of hairstylist delivering the service. The examples pictured above all took an hour, including a cut and blow dry. Ask in-salon for more details when you make your booking with us, and remember that a new seasonal hairstyle is only an appointment away! To see the full range of hairdressing, British Hair products, hairstyling equipment, hair straighteners, hair curlers, curling wands, men’s hairdressing, hair treatments, hairstyling services, hair toning, hair colouring, haircuts, creative cutting, gents hairstyling, hair care, hair styling equipment, haircuts, and hair extensions we offer, please get in touch here. 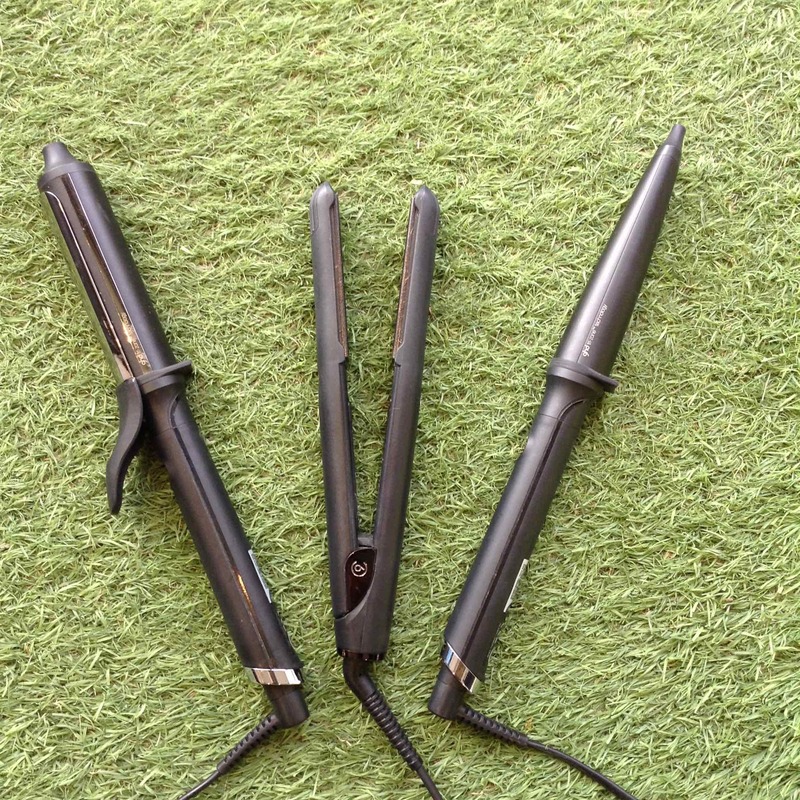 Some of our clients have been asking the team of Bristol hairdressers at Aidan Garlington Hair Design for advice on using hair straighteners, hair tongs and hair curling wands. 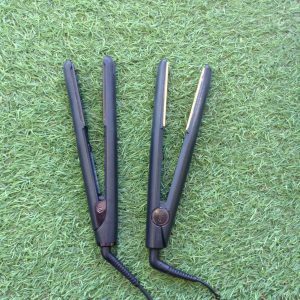 Using the right type of hair curling or hair straightening equipment for different hair types is really important to maintain hair integrity and healthy, well-conditioned hair, so we’ve decided to write a full blog post on this topic. Starting with hair straighteners above, using this hairstyling equipment on jaw to shoulder-length hair will give a more defined, tighter look that last well. 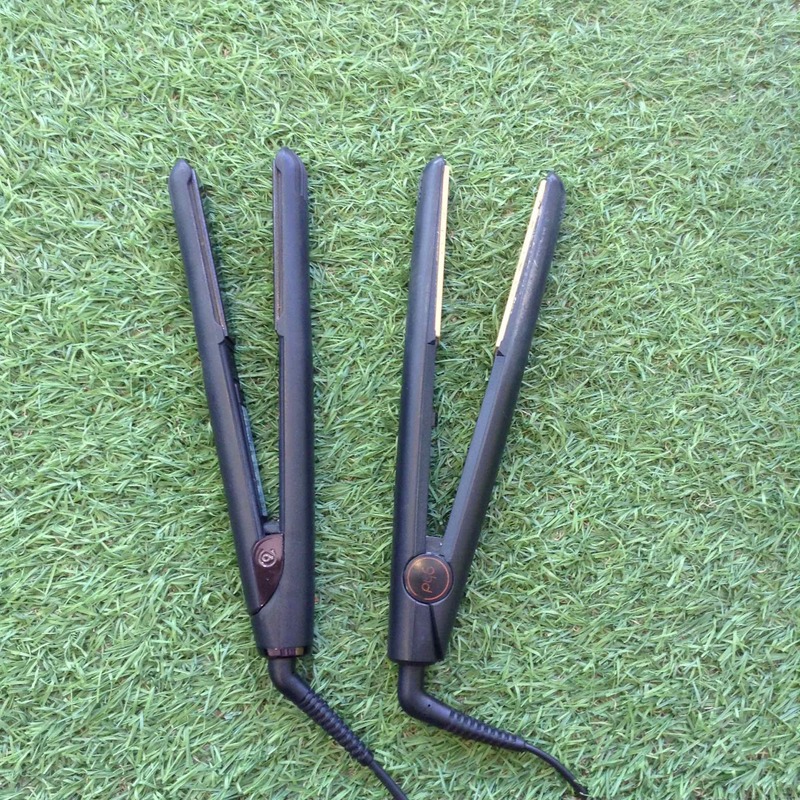 The tightness of hair curls depends on the temperature of the straighteners being used, so the hotter the tool, the tighter the hair curl will be. Using hair straighteners on shoulder-length hair and longer will give a loose and natural look, as the weight of the hair will pull curls down. Hair curls can be made tighter with application of more heat, but this needs to be done carefully and with heat defending hair conditioning products in place first. 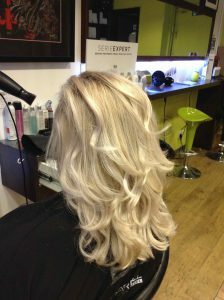 Hair curling wands are really flexible and can be used on any hair length, providing curls which are natural. 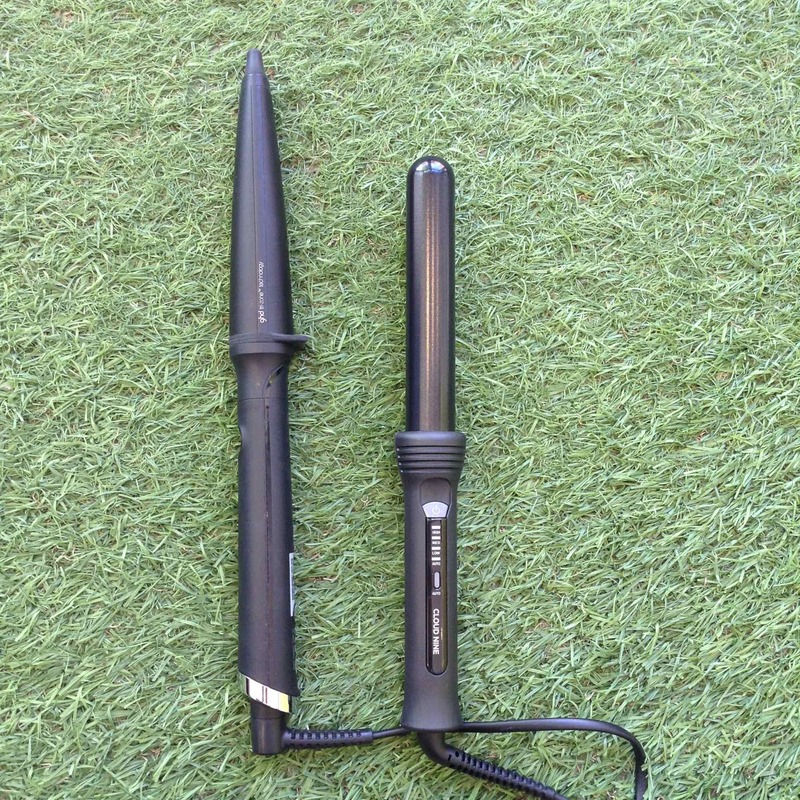 The wider barrel length on curling wands also enables a multi-texture curl because it is wider at the top then gradually gets smaller at the bottom of the hair curling wand, like those above. 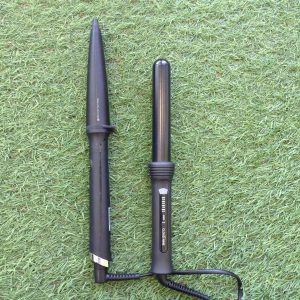 This helps to give a quick and workable curl using professional curl wands. 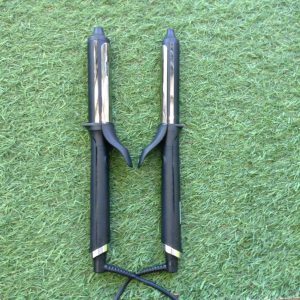 The third preferred piece of hairstyling equipment from our central Bristol hairdressers are hair tongs as seen above, and these usually have a small barrel size the whole length down. 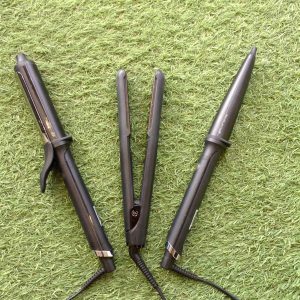 Hair tongs give flexibility as barrel sizes are different on different tongs – so, for example, if you want a tight corkscrew curl effect, simply choose a small barrel hair tong. 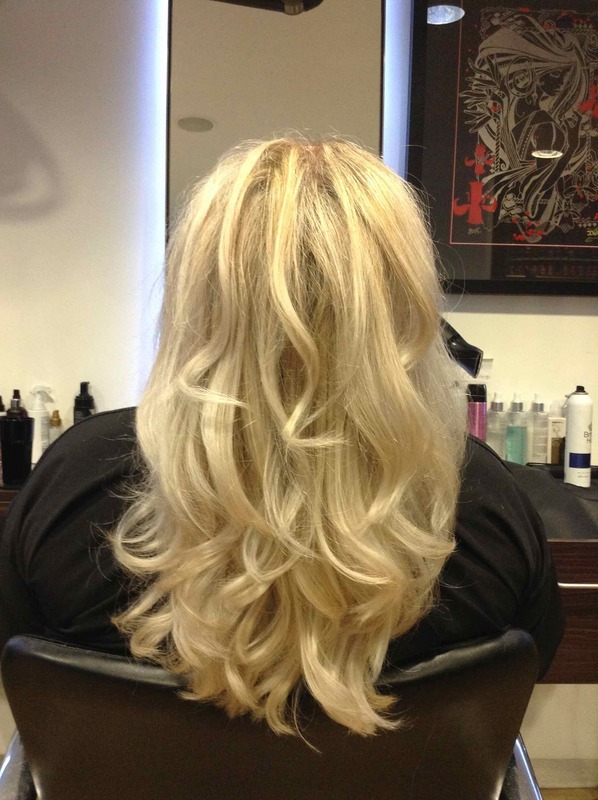 For a natural beach wave style, use a medium to large barrel. 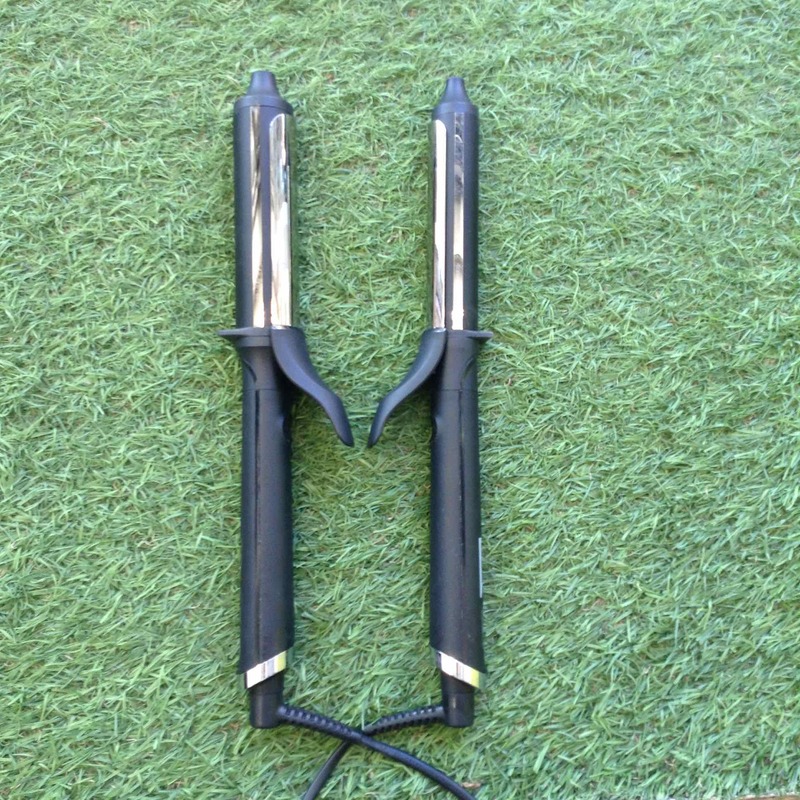 Hair tongs can be used on and hair type and length, and are a great option. To see the full range of hairstyling equipment, hair straighteners, hair curlers, curling wands, men’s hairdressing, hair treatments, hairstyling services, British Hair products, hair toning, hair colouring, haircuts, creative cutting, gents hairstyling, hair care, hair styling equipment, haircuts, and hair extensions we offer, please get in touch here. As many of our existing clients will know, we’ve been raving about this amazing hair brand with their fantastic hair products for some time. And we’re really pleased to be able to announce that a range of new British Hair shampoo products are now available at our Baldwin Street hair salon. The British Hair range of styling, conditioning and shampooing products have gained consistently goods feedback from our team of central Bristol hairdressers, as well as amazing comments from existing and new clients. 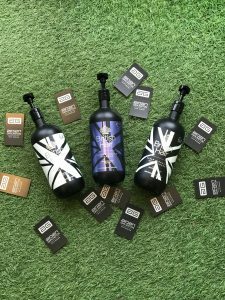 So, it’s great to see British Hair unveiling new shampoo products and we’re confident that our clients will love these competitively-priced hair products. Blonde Toning Shampoo contains keratin and sunflower seed extract to help protect and strengthen hair, repair damaged hair, hydrate and smooth hair cuticles, all with the added benefits of a unique colour lock formula and infused with argan oil to nourish hair and prevent seasonal damage. Blonde Toning Shampoo with British Hair’s Botani-H Complex is now available at our central Bristol hair salon for only £9.95 per 250ml bottle. To get the best results from Blonde Toning Shampoo, simply apply a small amount to wet hair, massage gently through the mid-lengths working up to a generous lather. Rinse with warm water and repeat if necessary. We also now have in-salon Scalp Cleansing Shampoo and Scalp Cleansing Conditioner, both available at only £9.95 each for 250ml bottles. These new hair conditioning products from British Hair are designed with a calming, anti-itch formula specifically aimed at clients looking to reduce flakiness in the hair, whilst also softening the skin and promoting hydrated scalp and healthier, better hydrated hair follicles. To apply, simply add as required depending on the length of hair, and massage in. Rinse with warm water and apply again if the hair needs it. And clients can now benefit from British Hair’s Restoring Hydration Shampoo which also contains keratin and sunflower seed extracts for added hair health. This new shampoo from British Hair is designed to give smooth hair cuticles, whilst also providing additional hydration to dry or damaged hair. It works hard to protect and nourish hair, and is only £9.95 for a 250ml bottle in-salon. Apply in the same way as the other British Hair shampoo products listed above, and finish with applying an approved and recommended British Hair conditioner, such as a Hair Restoring Hydration Conditioner for best results. If you’re unsure which of these new British Hair shampoo and conditioner products would be best for your hair type and length, simply ask one of our hair care experts for advice and guidance when you visit our salon. To see the full range of British Hair products, hairstyling equipment, hair straighteners, hair curlers, curling wands, men’s hairdressing, hair treatments, hairstyling services, hair toning, hair colouring, haircuts, creative cutting, gents hairstyling, hair care, hair styling equipment, haircuts, and hair extensions we offer, please get in touch here.